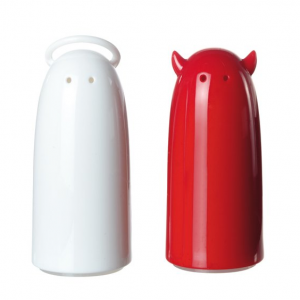 Adorable plastic Devil and Angel set that is easy to clean and BPA free. Who are you shopping for? Tell us anything. Your wildest dreams. Or perhaps what would make this site even better.